A few months ago, I heard a story on NPR about a study that found reading literary fiction, rather than popular fiction, could help people be more empathetic. I have no doubt that this could be true. But I did take issue with ending the story there. The story seemed to conclude that because literary fiction had the effect of making folks more empathetic it was better than popular fiction. Now, I just don’t believe in the idea of one genre being better than another. I do not believe in story hierarchy. There are well-told stories and there are poorly told stories, that’s it. And empathy is just one thing we can learn from them. Stories work because of something called theory of mind, which is our ability to put ourselves in the minds of others—real or fictional. A lot of that has to do with this: When we read about, or watch, someone doing something, neurons in our brains fire so that our brain can imagine this activity or event is happening to us. When a person runs, for instance, motor neurons are activated in their brain. The same parts of the brain activate when we simply watch someone run. If I write, the cool breeze blew gently over my skin causing goose bumps, you can feel that. You are predisposed to feel it; it is the only way to understand what I was feeling. Literary fiction is all about the subjective experience, getting in the minds and experiencing the feelings of the characters, so it only makes sense that having these areas of one’s brain stimulated would have an effect. But again, as far as I know, the researchers only tested for empathy. I suspect that if they had had subjects read mystery novels and then tested their memory and puzzle-solving skills they might have seen an improved ability to perform those types of tasks. There are all types of things one can learn from stories; empathy is just one. For example, what prompted me to finally write about this is a more recent study about how having couples watch and discuss romantic movies is as effective in lowering divorce rates as marriage counseling. This only makes sense. This is ancient wisdom that modern science is now catching us with. In Ayurvedic medicine, a more-than-3,000-year-old form of medicine from India, using stories is part of the practice. A patient is told a story and instructed to contemplate the hero’s plight. Sounds a lot like the romantic movie study, doesn’t it? Humans seem to be hardwired not just for enjoying stories, but for imitating and learning from them. People have known this for just about as long as people have been telling stories. And there are many things to be learned from them—empathy being a very important one. But if ever find yourself lost in the woods, cold and hungry, you might find the story you read about someone surviving in the woods more valuable than any piece of highfalutin’ literary fiction. Well said! 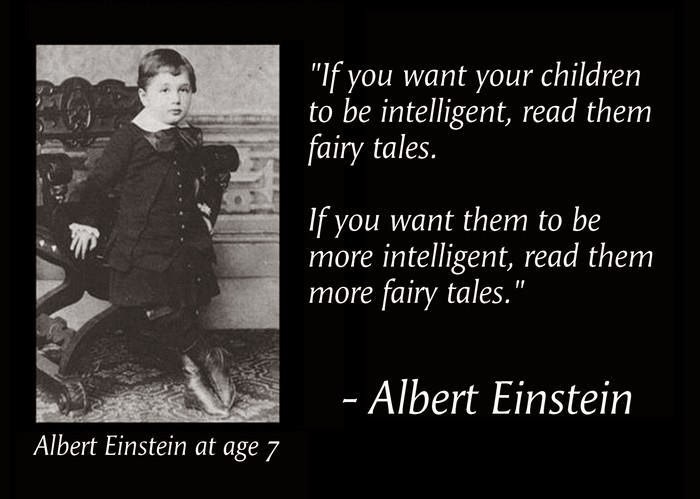 And love the Einstein quote. Ok I have to ask, but when are going to do a class or seminar in california? Have gone through your blog and books numerous times. I learn something new every single time. I would love to take a class with you. thanks Brian, Your posts make me so excited to tell stories. You are spot on with emphasizing how important they are to us as human beings. Its no wonder that as an audience member you can feel depleted somehow after seeing yet another poorly told big budget film. Thanks again for your posts, they are awesome! Thanks for the comment -- glad you liked the post. Thanks for reading my work. Glad that you get so much from it. I am in California from time to time lecturing. Last year I gave a talk at The Writers Store in Burbank. And there is talk of me giving a lecture at theTr!ckster store in Berkeley, but I'm not sure when yet. Hopefully you are near enough to one of those towns and can see me next time I'm around. Thank you for all the info.Im definitely going to keep track of tr!ckster. Im closer to burbank, but a six hour drive with sketching sounds like a fun trip to make. Definitely looking forward to meeting you. Excellent post! Really like the V.S. Ramachandran video. 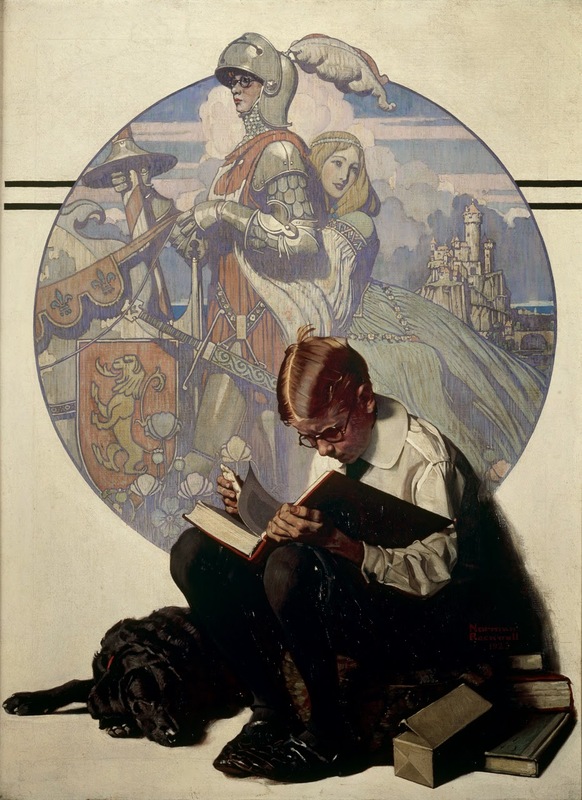 So, other than your own, what are the best books on storytelling? Wow. I got so much out of this. Thank you for your insights. I am working very hard on writing good scripts. Do you run any workshops? What a "good book" is on any subject has to do with where one is on the learning curve. Sometimes even on what is going on in a person's life at the moment -- what one gets from a book depends on who they are when they read it. I personally can sometimes learn more about my craft by reading about things seemingly unrelated to it. Other people don't seem to do that as easily and need the books to be very specific. Thanks for taking the time to write. Glad to know that you got so much from the blog. As for your question, I do teach workshops, but mostly in Washington State. Not exclusively, but mostly. I have been working on traveling more and doing weekend workshops in various cities. That’s more of me than anyone needs, but maybe you will find some of it useful. Just beginning, found you last night and found myself immediately drawn to your work. Are you in the Seattle area now? If so, what's next? I'd love to see and hear you speak in person. When and where is your next speaking engagement? Reading your book, you mentioned how storytelling happens even in daily conversation and I can't help but look for it now when my friends are talking. I really love you you bring to light how much storytelling is a part of everything we do. And I love how you show the importance of stories, fiction or otherwise, are important in our lives. Looking forward to your next thoughts on storytelling. I have been very inspired from your blog and book writing. I heard you once on paper wings pod cast and I felt a huge desire to keep learning about the secrets of story writing. I particularly enjoy your philosophical ramberlings, and principles you reveal about self development in the pursuit of becoming a greater artist, what ever the field. I have heard similar principles in other creative corners. I am an animator so, you see, story telling is closely related to my art. But you've inspired me to give writing a go too. This blog was particularly interesting. Again, I've heard the principles in other places, which indicates its universal principles of truth. Its tied closely to the idea of the golden theme that you wrote about in your book, that we're all the same. Below is a link that takes this idea a step further- we are all connected as well. Perhaps you may see even more connections and be inspired to keep writing in your blog. Keep up the great work. It's very inspiring. this is how i found your blog quite interesting..! i always prefer to read the quality blogs and i had found this in your blog and i had bookmarked your blog to revisit here and keep updating your blog.